EMHIS member Gloria Khamkar has successfully defended her doctoral thesis on the ‘Evolution of Asian Radio in England: 1960 – 2004’. Gloria has completed her doctoral research under the supervision of Professor Hugh Chignell and Dr Kristin Skoog at the Faculty of Media and Communication at Bournemouth University, UK. 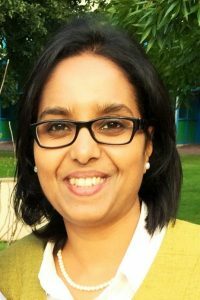 Gloria’s PhD examines the post-war Asian migration from the Indian sub-continent to England and its subsequent impact on the mainstream radio programming including the BBC local radio. It studies how the medium of radio was used as a tool for integrating newly arrived Asian immigrants that consequently led to the creation of today’s independent Asian radio broadcasting in England. This research is considered as a significant contribution to the UK radio history. Looking ahead, Gloria is keen to further explore the media usage by the immigrant communities as well as delve into existence and development of Community Radio outside of the UK, especially in Europe and India. Heartiest congratulations to Dr Gloria Khamkar!